Half of my cleaning problems come from not knowing where to start. I walk into a room, picture myself trying to clean all the things at once, get overwhelmed, and suddenly feel the urge to sit down for a while. Apparently I’m doing it wrong (no big surprise there). But if you know how to work the room, cleaning will go much faster. “At first, follow the top-to-bottom and left-to-right rule for each room in the house,” says Lauren Haynes, home organizing and cleaning expert at Star Domestic Cleaners. That means start by dusting the ceiling fan, the top of the bookshelves, and anything up high before moving on. Going from left to right (or right to left, if that feels more natural) will keep you on task and make the cleaning go faster. “Then focus on the top eye-catcher places and things like floors, ovens, and bathroom [fixtures],” she says. While your instinct might be to clean everything, you might also go crazy trying to pull it off before every showing. Instead, zero in on what the potential buyer is likely to notice, Haynes recommends—cleaning it every day or two, and then doing a deeper clean once a week. As soon as you know you’re going to show your house, pack up everything you don’t normally use. “Remove all the nonfunctional stuff or things which don’t contribute to the overall look of the property,” Haynes says. It’ll feel weird to live like that at first, but the more stuff you have, the more stuff you have to clean. Once you’re down to the stuff you actually need, find a way to quickly and easily hide it when it’s time to show the house. Sure, it might take a lifetime to actually develop good habits, but you can always fake it until you sell your house. By taking small steps throughout the day, you’ll save yourself a ton of time and keep the house clean around the clock. In the living room, pick up as you go (or at least as soon as your kids leave the room). In the bathroom, make it a habit to keep your toiletries under the sink and not on the counter. 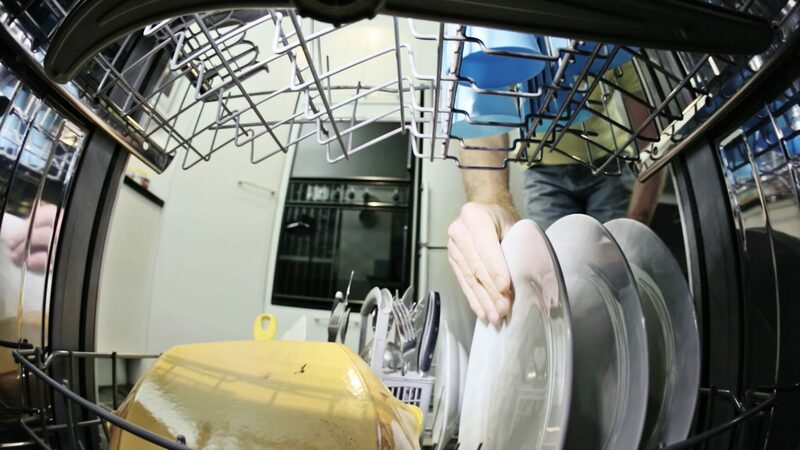 In the kitchen, unload the dishwasher as soon as the drying cycle is done so you can start loading again right away. Granted, it probably won’t go perfectly smoothly (especially if you have kids), but every little bit helps. Running short on time? You can easily make a room look clean without actually having to clean everything—as long as you focus on the stuff people notice the most. Focus most of your effort on two rooms: the kitchen and the bathroom, Jones recommends. If you have time, give rooms an extra boost by wiping down the fixtures and faucets, running a dry mop over the floors, and dusting the window treatments. Fold white towels neatly on the towel rack in the bathroom for a classic look. Don’t forget those little touches that make your house look clean and presentable. Throughout the home, create inviting sitting areas and intimate spaces. In the bedroom, make sure the bed is made evenly every day—lumps and wrinkles in the comforter can make the whole room look messy. Put out a bottle of wine and a couple of wineglasses in the master bedroom or living room. And in the kitchen, add a bowl of fruit or a vase of flowers to the countertops to give a touch of color and freshness. You don’t want to do too much—or you’ll be heading back into clutter territory—but a few little touches here and there can create a scene charming enough that no one will notice the spots you forgot to clean.